The price of admission: does moving to a low-poverty neighborhood increase discriminatory experiences and influence mental health? The Moving to Opportunity (MTO) study is typically interpreted as a trial of changes in neighborhood poverty. However, the program may have also increased exposure to housing discrimination. Few prior studies have tested whether interpersonal and institutional forms of discrimination may have offsetting effects on mental health, particularly using intervention designs. We evaluated the effects of MTO, which randomized public housing residents in 5 cities to rental vouchers, or to in-place controls (N = 4248, 1997–2002), which generated variation on neighborhood poverty (% of residents in poverty) and encounters with housing discrimination. Using instrumental variable analysis (IV), we derived two-stage least squares IV estimates of effects of neighborhood poverty and housing discrimination on adult psychological distress and major depressive disorder (MDD). Randomization to voucher group vs. control simultaneously decreased neighborhood % poverty and increased exposure to housing discrimination. 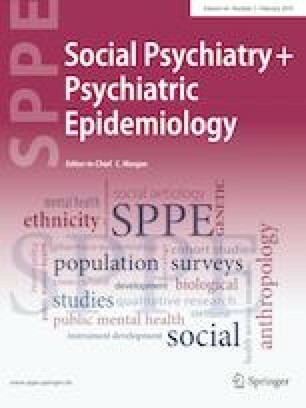 Higher neighborhood % poverty was associated with increased psychological distress [BIV = 0.36, 95% confidence interval (CI) 0.03, 0.69] and MDD (BIV = 0.12, 95% CI − 0.005, 0.25). Effects of housing discrimination on mental health were harmful, but imprecise (distress BIV = 1.58, 95% CI − 0.83, 3.99; MDD BIV = 0.57, 95% CI − 0.43, 1.56). Because neighborhood poverty and housing discrimination had offsetting effects, omitting either mechanism from the IV model substantially biased the estimated effect of the other towards the null. Neighborhood poverty mediated MTO treatment on adult mental health, suggesting that greater neighborhood poverty contributes to mental health problems. Yet housing discrimination-mental health findings were inconclusive. Effects of neighborhood poverty on health may be underestimated when failing to account for discrimination. The online version of this article ( https://doi.org/10.1007/s00127-018-1592-0) contains supplementary material, which is available to authorized users. This work was supported by National Institutes of Health Grants R21HD066312 and R21AA024530 (Dr. Osypuk, PI). The authors gratefully acknowledge support from the Minnesota Population Center (P2C HD041023) funded through a grant from the Eunice Kennedy Shriver National Institute for Child Health and Human Development (NICHD). Neither NIH nor the Department of Housing and Urban Development (HUD) had any role in the analysis or the preparation of this manuscript. HUD reviewed the manuscript to ensure respondent confidentiality was maintained in the presentation of results. The funders did not have any role in the conduct of the study or in the preparation, review, or approval of the manuscript. TLO conceived the hypotheses, obtained the data, conducted the majority of the data analysis, and wrote the majority of the manuscript. MMG aided in writing the paper. MMG and EJTT advised on the statistical analysis and interpretation of findings, in addition to editing the methods. NMS and RDK analyzed the data, created tables, and edited the manuscript.